A digital version of All Roads, the graphic novel included with the collector's edition of Fallout: New Vegas, is now available to everyone. 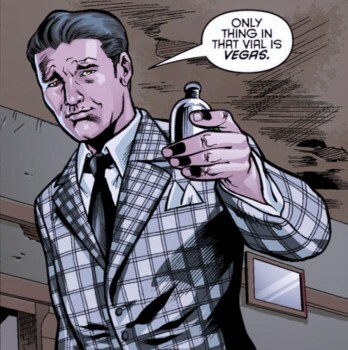 The Fallout: New Vegas collector's edition was an awesome thing, not least because it included All Roads, a graphic novel detailing the events leading up to the start of the game. Written by Fallout: New Vegas Senior Designer Chris Avellone, it set things off on the right foot by giving players more to go on than the tired old "you wake up with amnesia" trope. None of it was necessary to enjoy the action but it all made a little more sense with the novel providing context, and it also went a long way toward making certain characters - one in particular - more three-dimensional and sympathetic. If you missed out on that part of the experience, here's a chance to catch up. A digital version of All Roads is now available through either Dark Horse Digital or the Dark Horse Comics iTunes App for $2.99, which is not a bad deal considering that it's less than what you'd pay for a dead tree version of a regular-edition comic. If you've already played and finished New Vegas you're probably not going to get much out of this but if you're just leaping into it, I'd definitely call it three bucks well spent. It's fun making connections between the book and the game with moments and locations that would otherwise be complete throwaways. It won't mean much if you're just in it to shoot up geckos and wastelanders, but if you enjoy digging deeper into the story, All Roads is a great place to start.